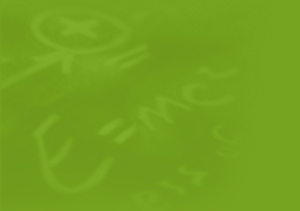 The SUMMA Foundation was founded in 1973 and registered with the IRS as a philanthropic organization to promote scientific and educational activities in the field of electromagnetics. 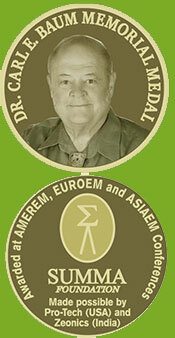 Initial funds to the Foundation were contributed by Dr. Carl E. Baum who has, from time to time, also donated the monetary parts of his scientific awards to the Foundation plus additional funds. Contributions have also been made to the Foundation by donors interested inpromoting various scientific activities in the field of electromagnetics. Some of the Foundation activities have had surpluses deposited back with the Foundation. Proudly Announcing Three New SSN Notes! 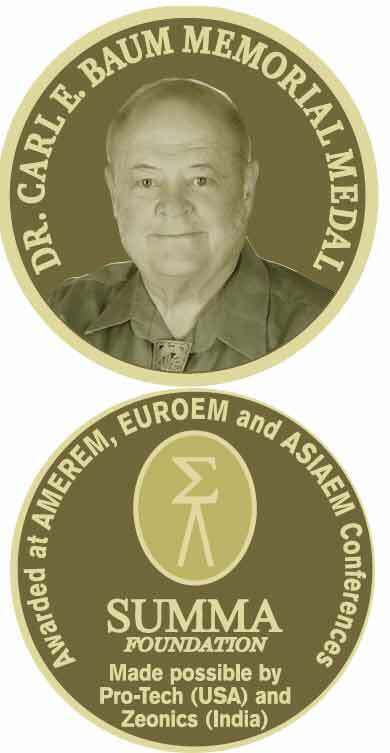 Winners of the 2018 Carl E. Baum Memorial Medal Announced! Click here to view an excerpt from Vol. 5, Quarter 4, of the 2016 IEEE Electromagetic Compatibility Magazine which has just come to our attention! Please click this sentence to read an electronic pdf version of Dave Giri's book, "My Journey With Carl." Please click this sentence to view all the photos from ASIAEM 2017! The ASIAEM2017 symposium was held in Bengaluru, India. Please click here to download the brochure! Winners of the 2017 Carl E. Baum Memorial Medal Announced! A letter from the New Editor. Please click to read. EUROEM 2016 took place July 11-14 at the Imperial College London, UK. Please click this sentence to view the conference website. Click this sentence to view the EUROEM2016 Technical Program. 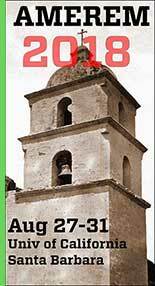 AMEREM 2014 was held from July 27 to Aug. 1, 2014 at the University of New Mexico in Albuquerque. The Final Program Book is available here! Download all the Abstracts by clicking here! The YouTube video above is a collection of over 200 photographs that were taken during AMEREM 2014, set to the music of Dr. Carl E. Baum. If you would like to download an AVI video of the same thing, please click here but note: this is a 150 megabyte file. The resolution is considerably higher than the YouTube video, however. Also, your computer may need a plug-in to play this video properly. Take me to the Notes Series Home Page! Copyright © 2018. Electrical & Computer Engineering Department. The University of New Mexico. All rights reserved.